In his 26 months in charge of the Super Eagles, there has hardly been a time when the Super Eagles tactician is as daring as what we just witnessed with the release of the 23-man squad that is expected to take on South Africa in an AFCON 2019 qualifier as well as the friendly against Uganda in Asaba two days later. For one, Rohr has released the list of the invited players two weeks before the window, while this is inconsequential, it is the complete opposite of the laidback Gernot Rohr, who clings to the list firmer than a nursing mother holds onto an infant. And what is worse, in there we have potential debutants – like we have become accustomed to at every international window, yet, this isn’t the reason for the outcry on social media. Has Mikel Obi retired from international football? For the third consecutive international window, John Mikel Obi is omitted, further fueling rumours of a possible retirement from international football after 12 years. John Mikel Obi has not featured for the Super Eagles since the 2-1 defeat to Argentina during the FIFA World Cup, the Super Eagles have since played four games since then – winning all four – and with the coming games this window, it marks the fifth and sixth games without the skipper. With only two rounds of games left, the skipper hasn’t featured in any AFCON 2019 game which makes it even harder to think he will return to the side when Nigeria return to a tournament they last won and competed in five years ago. Could the emergence and immediate acceptance of Alex Iwobi as the ‘perfect 10’ have influenced his (in)decision? Is Mikel being eased out of the national team and the emergence of Alex Iwobi a coincidental ‘gift’ to Nigerian football? Had the Arsenal playmaker failed to live up to the billing, then there would have been a huge outcry to have the skipper back, but he hasn’t imploded so we’re good. Much to the surprise of many is Wilfred Ndidi’s exclusion and the return of Mikel Agu. The Leicester City midfielder is an indispensable member of the squad, but having picked up two yellow cards in games against Seychelles and Libya, the midfielder is serving a one-match ban. That said, with the coach overlooking Ogenyi Onazi – another member of the squad the manager is looking at excluding altogether – Mikel Agu, who narrowly missed out on the plane to Russia after John Ogu put in a Russia-worthy performance against England in Wembley, is back in the team and may be favoured to start alongside Oghenekaro Etebo in midfield. The final call that has shocked everyone is the subtle exclusion of Henry Onyekuru described as “standby” and the return of Victor Oshimehn and a new call-up for Oshimehn’s U-17 World Cup-winning teammate Samuel Chuwkueze. Oshimehn earns a recall following a brilliant start to the season that has seen the forward score six goals in his last six games, including four in his last three games for Belgian side Charleroi. Having suffered some of the lowest moment in his career; Wolfsburg sought to offload him at all cost and as if that was not bad enough, he was deemed ‘not good enough’ by Waasland-Beveren, the club that should have snapped him up from Wolfsburg. A 21-year old going through all that rejection only to return with a healthy number of goals is maturity exemplified; he is ready to bear the weight of expectation synonymous with the Super Eagles jersey. Henry Onyekuru, on the other hand, has struggled for form lately, although Gernot Rohr has barely given him enough opportunities, his recent performances do not justify an invite which means a place on the standby list is deserved. Decisions such as this are why you want a big coach, one who isn’t scared to drop players who aren’t at their best. 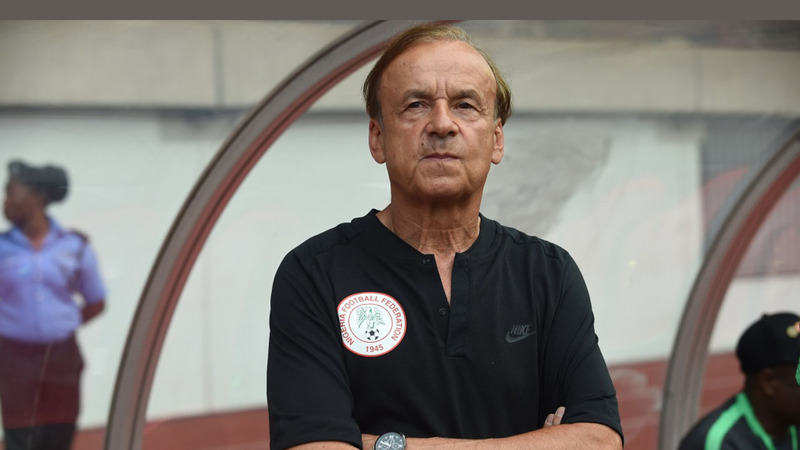 Rohr appears to be slowly moving away from the era that was hugely dependent on Mikel Obi and Ogenyi Onazi’s ability to pick a long pass; add to that the favourable fixture list which has provided the perfect games to instil and build a new side. Rohr has been culpable in the past, but this may well be a path to redemption and a strong indication of intent from the Franco-German.